I was invited to eat a ‘Water-Rich Menu’ at Quo Vadis in Soho. The host was Nicholas Stanley, Managing Director of Eau de Vie. Although his new enterprise is all about water, he seemed quite surprised when I – and a number of the other guests – declined the champagne in favour of water. But then I found out that he’d been in the wine industry for many years – starting at Corney & Barrow. We started with watercress, radish and broad bean salad and followed that with turbot, a fish, which apparently needs good clean water to survive. And for pudding we had a strawberry water ice. I’ve always been rather passionate about drinking tap water. It seems absurd that UK households are provided with a plentiful supply of good quality drinking water, flush as much as one third of this down the loo and then many people actually buy bottled water to drink. (See blog I wrote on the subject for the Telegraph in Feb 2008). Many people argue that they don’t like the taste of tap water but in taste tests this rarely stands up to scrutiny. Although, warm water doesn’t taste so good – and putting it in the fridge also means the chlorine has time to evaporate. The real scandal about bottled water however is the environmental impact. Shipping water and heavy bottles around the country or sometimes importing it from far away has a significant environmental impact, using lots of fuel. And, apparently, it takes about three times more water to make a plastic bottle than to fill it. One website I’ve looked at claims that in America they make 60 million plastic water bottles a day! So what’s different about Eau de Vie? It’s cooled, filtered water served in re-usable glass bottles. You can get it flat or fizzy. The system is being sold to restaurants as an alternative to bought in bottled water. And it’s a lot cheaper too – about 2p a litre. At Quo Vadis they include it in the cover charge. Other restaurants still charge for it but less than the other branded waters. The environmental credentials appear to stack up too. A glass mineral water bottle will result in 500 times more waste to landfill and have over 13 times the carbon footprint than Eau de Vie. And a PET plastic bottle will result in 40 times more environmental waste to landfill and 4 times the carbon footprint. If you multiply these figures for a typical restaurant serving 5,000 litres of mineral water a year, the savings are signficant. 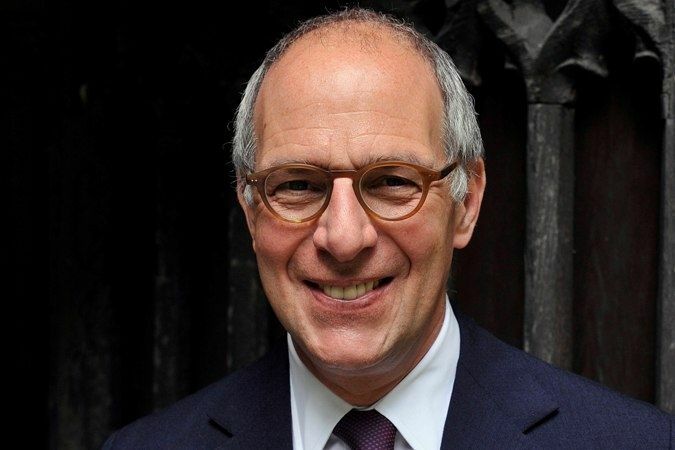 Fellow guests at lunch included Loyd Grossman, famous from ‘Through the Keyhole’ and for his sauces – even if you don’t recognise his name, you may find his distinctive voice familiar. I was amused to hear that he’s now playing in a rock band with Valentine Guinness as the lead singer. Also there was Edwin Datschefski, a fellow environmentalist, who I’ve known for years. He has been advising Eau de Vie on their sustainability credentials and has to technical expertise to give the product claims credibility. I was given a couple of bottles of Eau de Vie to take home. At room temperature I carried out a taste test with my children as guinea pigs. They were given two glasses of water to taste and had to say which they liked best. One was ‘eau de tap’ and the other Eau de Vie. They were unaminous in choosing the filtered water. However, I’d like to do the test again with both samples being cooled – but I’ll have to wait because I’ve run out of the bottled brand. For restaurants this system would seem to be a real winner. Compared to other bottled water it costs less, has less environmental impact, attractive branding and is a good quality product. Even compared to tap water it may not do so badly if you take account of freezing the ice cubes and washing up the jug. There are plans afoot to adapt Eau de Vie for the domestic market. That wouldn’t be so good for me because I’m quite happy with tap water. But for committed bottle water buyers or frenzied carbonated water enthusiasts it could not only save money but reduce their significant carbon footprint too. So Eau de Vie gets my qualified support – a bottled water that’s better than others. This entry was posted in About me, Food & drink, News 2009, Packaging, Plastics and tagged Packaging, Water. I definitely want to read a bit more soon. BTW, pretty good design this blog has, but how about changing it once in a few months?